Empathy — experiencing external emotional energies as your own moods and sensitivities and feelings — is the foundation of being psychic. If you identify as a lightworker, or someone who is actively seeking a spiritual path, absorbing other people's energy comes with the territory of everyday life. For some professions, it can be an occupational hazard. Today I want to share some techniques for psychic shielding and managing your energy. I'm thinking of offering a new level of support for the show where you get to access the downloadable courses and books from the shop on my site. The way I’m thinking this would probably work is that each month one course will be featured and accessible and then I would rotate through most of the products I have available. I’d love to hear your thoughts about this. Write and tell me. I’ll let you know for sure when I decide to do this. You can always edit your pledge amount if you made one months ago and want to raise it to access the bonus content. I’m including a new link now in the show notes on how to do that. I’d also like to give a quick shout out to Titti and Heather, Patreon supporters who requested today’s show topic about managing and protecting your psychic energy. I’ve yet to encounter anyone who has a high level of natural intuitive abilities — such as clairvoyance, clairaudience, or claircognizance — who is not also primarily clairsentient. Empathy — experiencing external emotional energies as your own moods and sensitivities and feelings — is the foundation of being psychic. If you identify as a lightworker, or someone who is actively seeking a spiritual path, it comes with the territory of everyday life. And for those who take this identity into the professional realm — obvious careers such as psychotherapists, counselors, coaches, social workers, medical professionals, massage therapists, energy healers, psychics, ministers, teachers, and child care; but also human resource professionals, customer service workers, hair stylists — anyone who deals with numerous individual people, called to assist (at least listen to) others who are processing a lot of negative conditions and circumstances — residual energy is literally an occupational hazard. I most often share the following psychic “soft” shielding technique with empaths who work in para-professional or healing arts fields where heart-centered connection is a requirement. 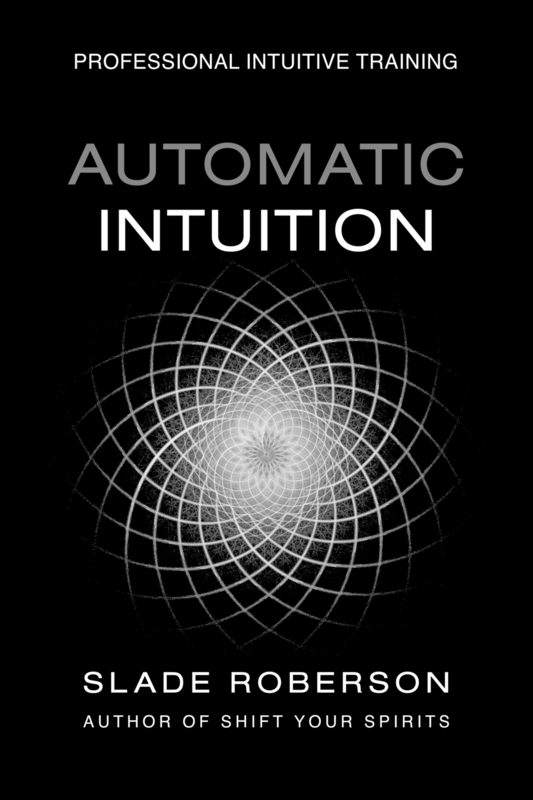 It has become a staple training in the Automatic Intuition program. The thing to keep in mind about White Light is that it’s entirely impermeable and allows for too little heart chakra to heart chakra reflection/ interaction. White Light protection in everyday relationships is a bit overkill. What happens is...When the subject you’re communicating with projects onto you, the most positive authentic heart-centered energy is reflected back to him/her. The Pink also allows for your loving energy — compassion, concern, good will — to pass through, yet the White Light (which is still present within the Pink) blocks negative energy. So, it’s a semi-permeable shield — which expands the Highest Self-loving Energy that either of you project; and it’s a kind of filter — magnifying what you most hope to receive/ project, while still blocking negative psychic energy completely and absolutely. If you have rose quartz crystals physically present, they can act as a switch or consciousness trigger for turning on this shield. I recommend that therapists and mediators actually have some piece of rose quartz in the line of sight of both parties; on the table or desk between you is ideal. You can wear rose quartz as jewelry or carry a piece in your pocket. Just seeing this color acts as a subconscious activation switch, even for those who don’t intellectually know the symbolic spiritual significance. The Woo Woo Stuff — the visualizations, the meditations, the rituals, the spells — is really just a representation and a reminder of your commitment to a particular conscious intention. Just going into a conversation aware of what you want to block, what you want to project and receive, impacts your attitude and word choice and allows you to set the energy. When you set a strong energetic intention like this — when you’re willfully driving the vibration — others must conform or deal with the discomfort. They have no choice but to match that energy or they have to leave. In which case, the integrity of the kind of conversation you want to have is ultimately maintained. Don’t forget the most basic intention manifestation/ law of attraction factors — if you establish beforehand how you WANT the script to go, then you’re creating it — not reacting on the fly and finding yourself unequipped to provide the details of the Best Case Scenario. If you prepare for the conversation going badly, if you prepare a dialogue of argument, the Universe will be sure to shoot that scene for you. Ground your energy. If you feel overwhelmed, Focus on the basics, focus on the physical. For me, that is exercise. If my workouts are maintained, it helps manage my appetite and most importantly it impacts my sleep. If you’re not sleeping, you’re not in a state of mind to manage these more complex energies. Get the physical sorted first. If you’re not a fitness buff, go for a walk every day. Just 30 minutes or 45. It will change everything. If you have physical limitations and that’s not an option for you, then work on visualizing your energy being grounded. Kundalini meditation would be good for you. OR start with perfecting a basic visualization of your spine growing down into the ground and becoming roots, like a tree. THAT is great place to start managing the foundation of your psychic energy. MESSAGE You just received a gift. A magical energetic gift. The ability to complete any creative idea you have. And if you jump on this now, with enthusiasm and optimism and perseverance, I’m predicting the positive outcome will be tremendous. Don’t hesitate. Stop thinking about it, go for it.